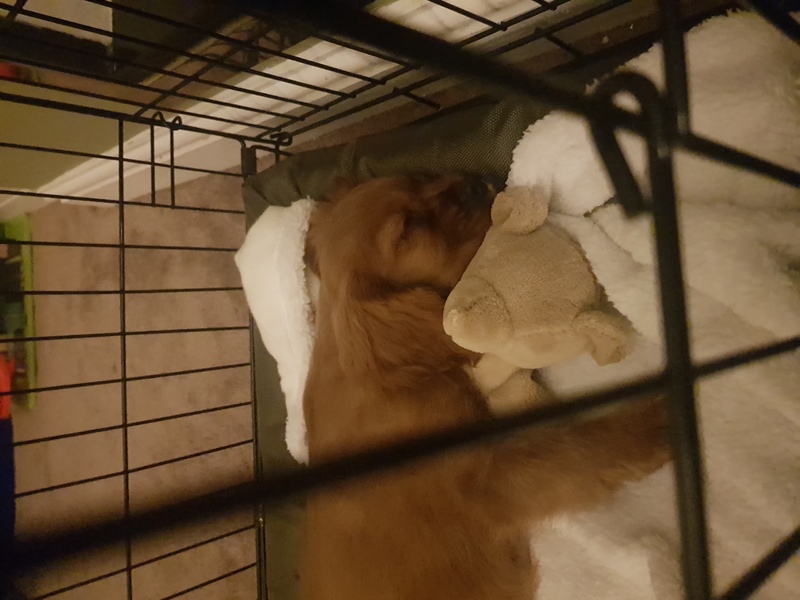 We bought this beautiful little puppy a few days ago however our adult dog will not tolerate him and we feel it is very unsafe for the puppy to stay. 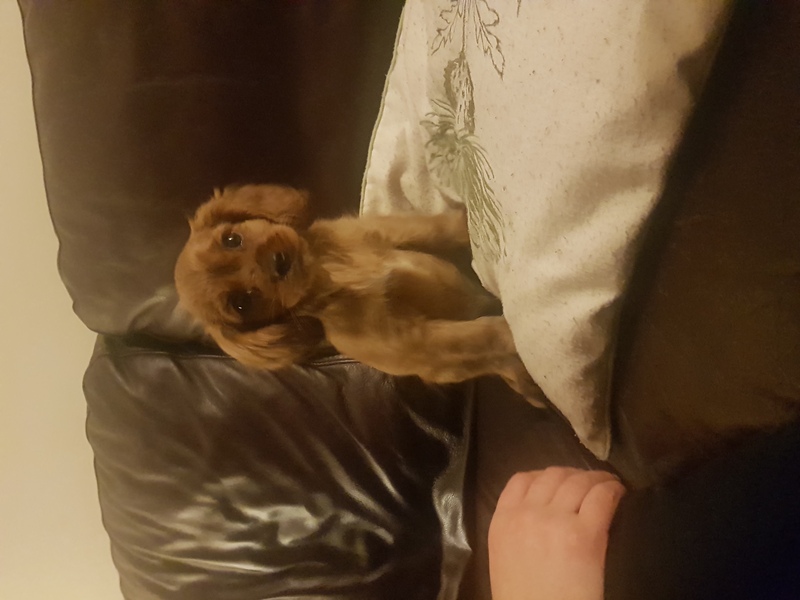 He is 9 weeks old and had all relevant health checks with the breeder. 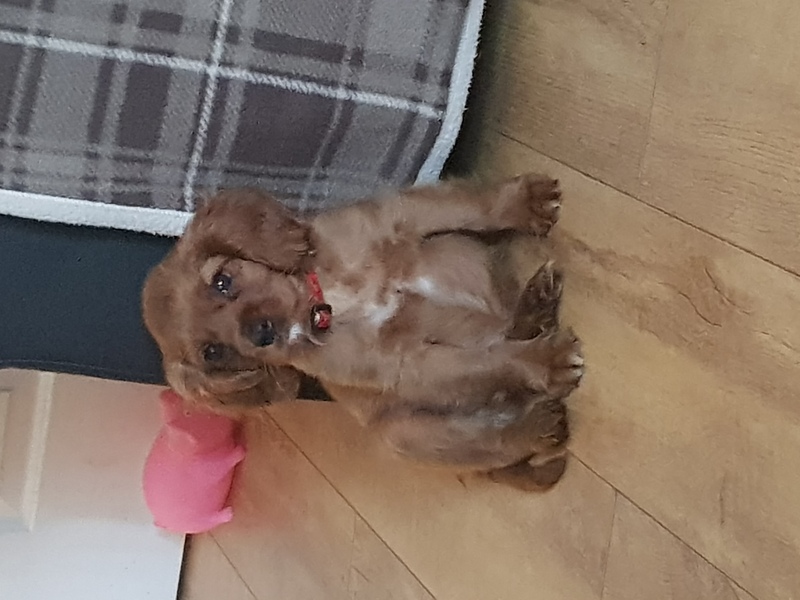 He is such a lovely little character, very clever and playful. 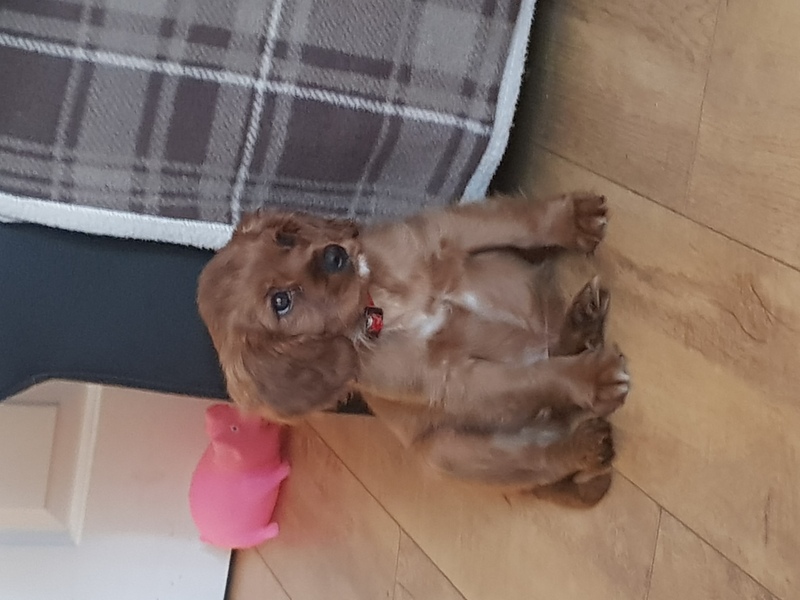 He is a beautiful ruby colour cavapoo, mum is a Cavalier King Charles Spaniel and dad is a miniature poodle. I have the breeders details if the buyer wants them. He comes with a crate, toys, food, bowls and collar. Texts or emails are best and please no time wasters as I have two children who will be upset to see him go.